Who needs the “Colonel” when you can make these — crispy, juicy, and easy! Preheat oven to 425 degrees. Line a 15x10x1 baking pan with foil. Place a wire rack in the pan. Pour milk into a shallow dish. In a separate shallow dish combine the next seven ingredients (through pepper). 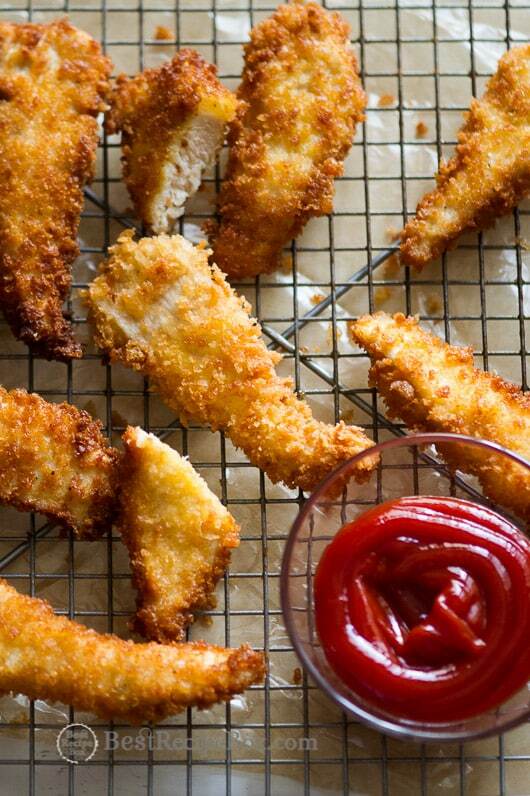 Dip a chicken strip in the milk and then in seasoned crumbs, pressing to coat both sides. Place chicken on the rack in the pan. Repeat with remaining chicken pieces. Lightly coat chicken with nonstick cooking spray. Bake for 20 minutes or until chicken is lightly browned and cooked through (165 degrees).